How old does my child have to be to decide where he will live after we are divorced? Contrary to popular belief, South Carolina does not allow children under the age of 18 to choose where they will live after a divorce. Charleston Judges Must Consider a Child’s Preference in Child Custody Cases. Some states (including Georgia) have child custody laws that permit a child over a certain age to choose with which parent the child will live after a divorce becomes final. Other states require divorce judges to consider a child’s preference only if the child has reached a certain age. South Carolina follows a different practice. South Carolina’s child custody law requires Charleston’s family law judges to consider a child’s preference as one of several factors that the judges must weigh before deciding child custody. Charleston divorce judges must consider the preferences of each child concerning child custody, regardless of the age of the child involved. However, the judges do not have to follow a child’s wishes in determining child custody. Your Charleston divorce judge will decide child custody after considering all of the factors, which are listed in South Carolina’s child custody law. While your child’s preference is one of the factors in our child custody law, Charleston judges never make a child custody decision solely on the basis of what a child wants. Depending on the specific circumstances of your case, your child’s preference may be the critical factor or it may be insignificant in determining child custody. Your Charleston divorce judge will make the child custody decision that is in the best interest of your child – regardless of the child’s preference. The Age and Maturity of Your Child Will Determine the Extent to Which Your Child Custody Judge Will Consider the Preference of Your Child. There is no particular age at which your child’s preference will necessarily be the controlling factor in deciding a Charleston child custody case. Your divorce judge will weigh the age, maturity, judgment, and ability of your child to express a preference concerning child custody. Generally, Charleston divorce judges give greater weight to the preference of an older child. However, this is not always true. For example, your child custody judge may place great weight on your 10-year old daughter’s opinion, if she is very mature. In contrast, if your 14-year old son is immature, your judge may not be as impressed by your child’s preference. As a practical matter, your Charleston divorce judge knows how challenging your 16-year old son can be with a set of car keys in his hand. Your judge understands that an older child, who has a very strong child custody preference, can be difficult to control. Consequently, your child custody judge will probably grant your mature teenager’s request in the absence of some compelling evidence to the contrary. Attempts to Manipulate a Child Can Backfire. “The Disneyland Dad [or Mom]” – Some parents wrongfully attempt to “buy” favor with their children by promising the child something of value if the child will express a child custody preference for that specific father or mother. Others – in the same vein –treat a child to exceptional entertainment and other fun activities while the child custody evaluation is occurring. Parental Alienation – Other parents will attempt to undermine the relationship between a child and the other parent. These parents may tell the child false information regarding the commitment of the other parent to the child or engage in other activities with the intent of giving the child a negative and false impression regarding the other parent. The goal is to turn the child against the other parent during the course of the child custody evaluation. Emotional Conditioning – Some parents use a variety of emotional techniques to subtly pressure the child to prefer that parent. For example, a parent may try to “guilt” the child into making a choice by telling the child how “hurt” the parent will be if the child doesn’t “vote” in favor of the parent. The “No Rules” Parent – Some parents attempt to gain favor with their children by relaxing disciplinary rules and behavioral expectations during the divorce. These parents hope that their children will choose to live with them because they are not as strict with discipline. Since Charleston divorce judges are aware that some parents use these techniques in child custody disputes, your judge may be particularly interested in the reasons why your child prefers to live with you or your spouse after your divorce. If your judge concludes that your spouse has engaged in any of these practices, your judge will probably disregard the child’s expressed preference in your divorce. You Can Persuade Your Charleston Divorce Judge to Disregard Your Child’s Preference Regarding Child Custody. divorce and child custody attorney, you can prove to your judge why it would be in the best interests of your child for you to be awarded child custody over the objection of your child. Your Charleston child custody attorney can organize the evidence to put you in the best possible light regarding factors other than the preference of a child. You can offset the negative weight of your child’s preference by showing how educational, family, physical, psychological, religious, and other factors weigh in your favor. Your child custody lawyer may also be able to prove that: (a) your spouse is unfit to be your child’s custodial parent; or (b) you will be able to better serve specific needs that your child has. In addition, there are many other ways that a Charleston child custody lawyer can assist you in your child custody case. 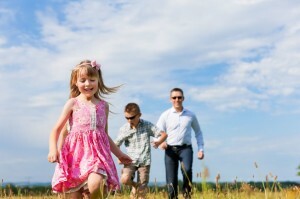 You Should Hire a Charleston Child Custody Attorney. Charleston child custody cases are often hotly contested. Since each child custody case can be decided on the basis of technical points of law, it is important that you hire a Charleston child custody attorney to represent you. If you lose on child custody, it will dramatically affect the life of your child and your relationship with your child for the rest of your life. You need professional help. As an experienced child custody lawyer in Charleston, I can help you with your divorce and child custody case. Please call me now at 843-631-7117. Alternatively, please use the contact form to ask me any questions that you may have regarding your mother’s rights or father’s rights in your Charleston child custody case. I will be quick to respond.